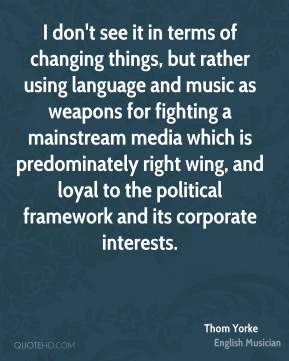 I think we're entering a very dangerous time. 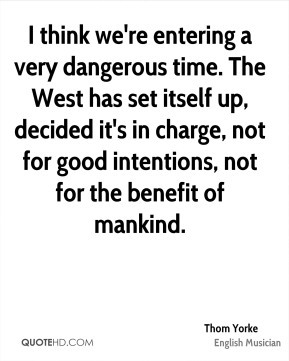 The West has set itself up, decided it's in charge, not for good intentions, not for the benefit of mankind. 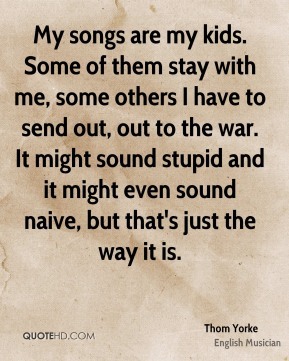 I've never believed that pop music is escapist trash. 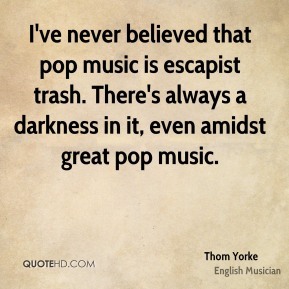 There's always a darkness in it, even amidst great pop music. 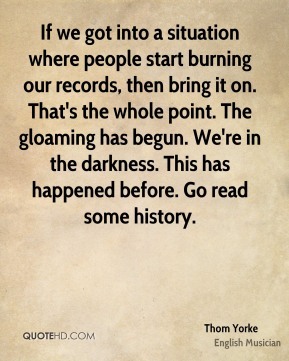 If we got into a situation where people start burning our records, then bring it on. 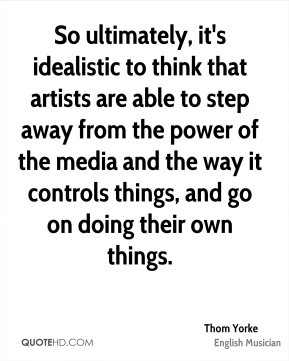 That's the whole point. The gloaming has begun. 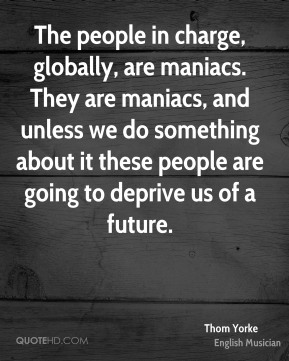 We're in the darkness. 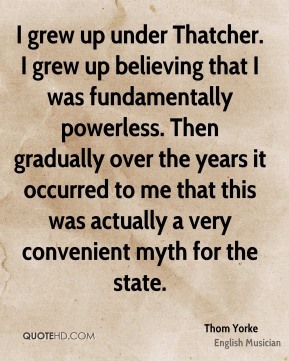 This has happened before. 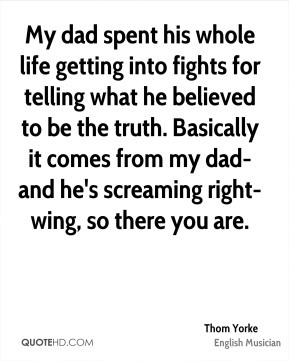 Go read some history. 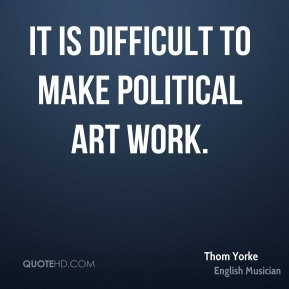 It is difficult to make political art work. 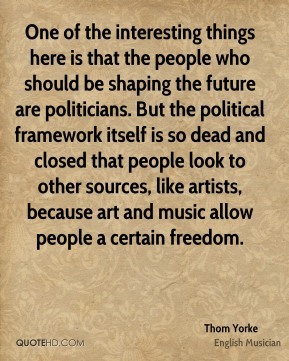 Music is more difficult - try naming a political band. The Dead Kennedys. 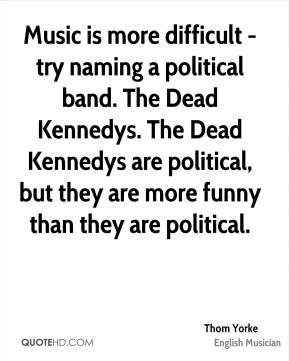 The Dead Kennedys are political, but they are more funny than they are political. 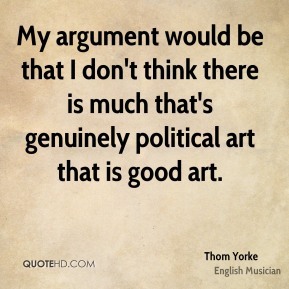 My argument would be that I don't think there is much that's genuinely political art that is good art. 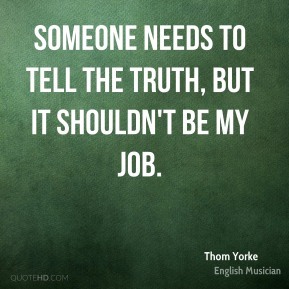 Someone needs to tell the truth, but it shouldn't be my job. 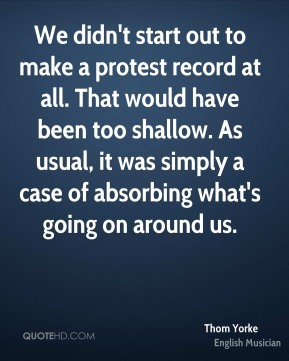 We didn't start out to make a protest record at all. 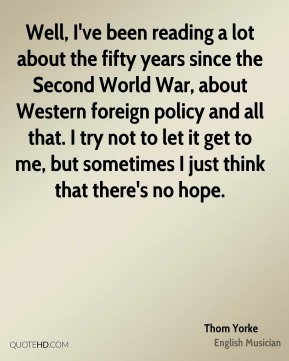 That would have been too shallow. 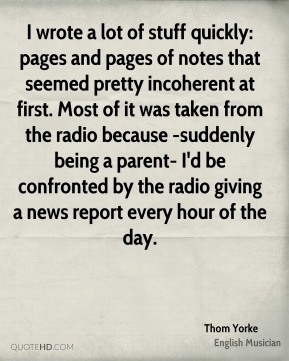 As usual, it was simply a case of absorbing what's going on around us. We don't have to stand on a soap-box and preach because hopefully we're channelling it through the new record. Well, my son really loves wildlife. 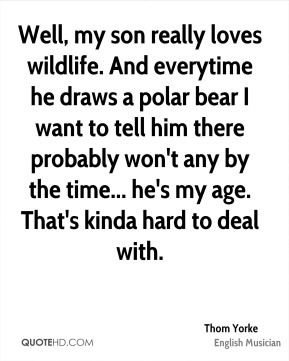 And everytime he draws a polar bear I want to tell him there probably won't any by the time... he's my age. 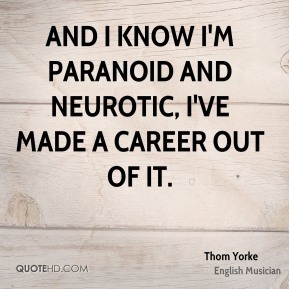 That's kinda hard to deal with. 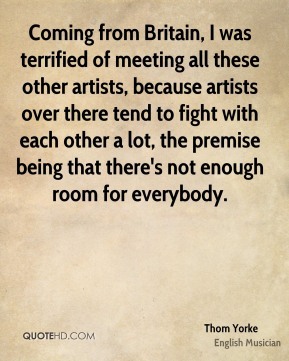 Coming from Britain, I was terrified of meeting all these other artists, because artists over there tend to fight with each other a lot, the premise being that there's not enough room for everybody. 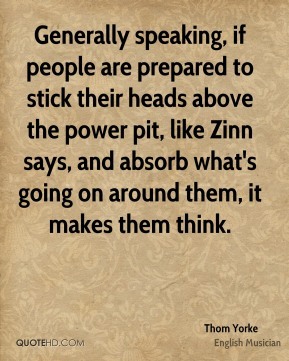 Generally speaking, if people are prepared to stick their heads above the power pit, like Zinn says, and absorb what's going on around them, it makes them think. 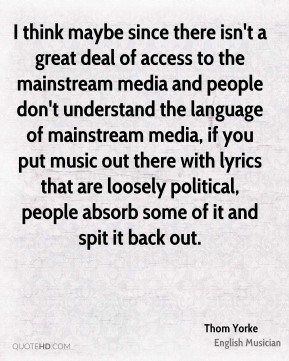 I think maybe since there isn't a great deal of access to the mainstream media and people don't understand the language of mainstream media, if you put music out there with lyrics that are loosely political, people absorb some of it and spit it back out.